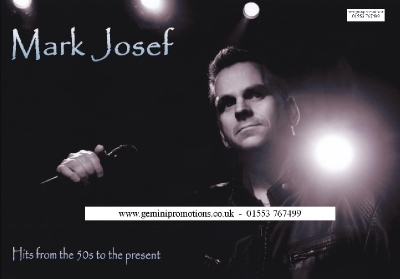 Mark Josef covers a great range of hit songs from the 50's through to present day chart numbers. With songs by artists like Bobby Vee, Neil Sedaka, Billy Ocean, Take That, Robbie Williams and Daft Punk to name but a few. 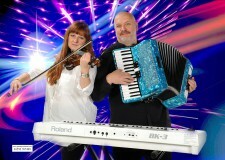 With a career spanning more than 15 years Mark Josef has an act that is suitable for almost any venue and any audience. With top class vocals and a professional attitude, Mark Josef is a hard act to follow.